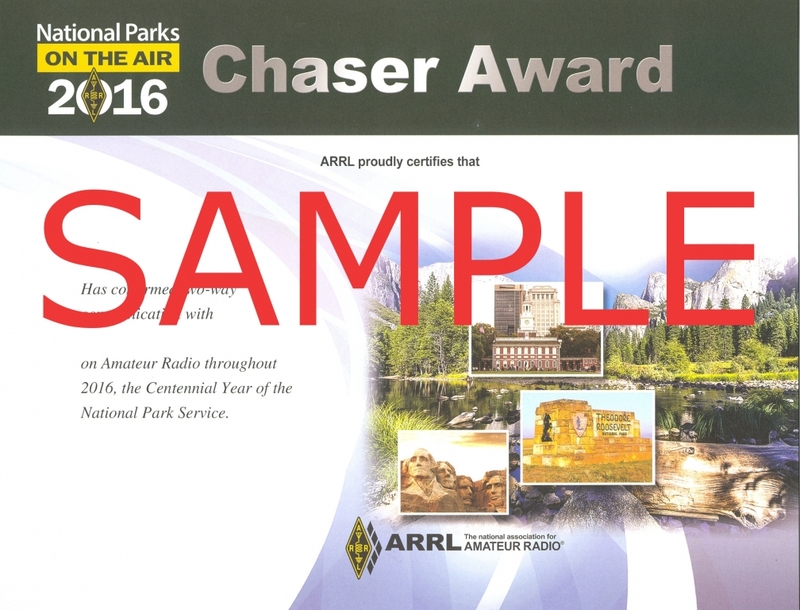 Throughout 2016, Amateur Radio will be helping the National Park Service celebrate their 100th anniversary. Hams from across the country will activate NPS units, promote the National Park Service and showcase Amateur Radio to the public. NPOTA certificates are now available! Click on the certificate image for a larger view. Chaser certificates show the number of NPOTA units you confirmed in 2016. 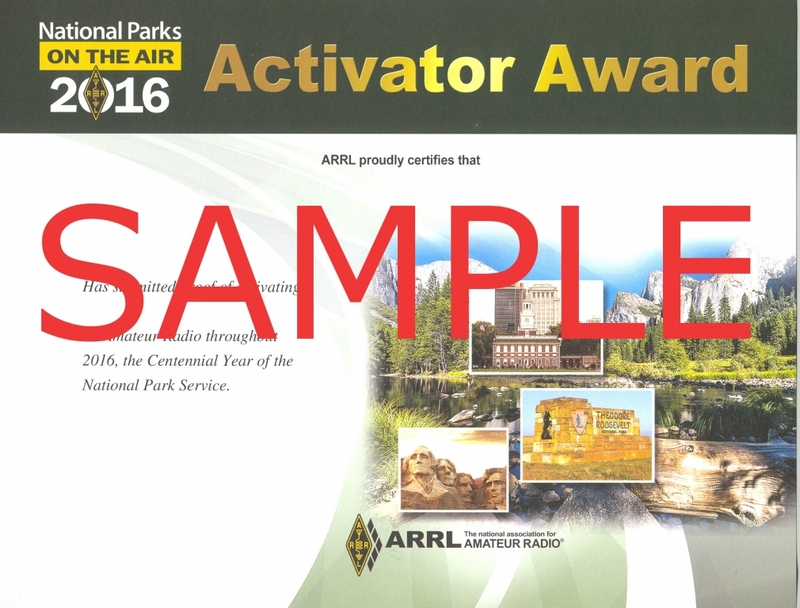 Activator certificates show the number of NPOTA activations you made in 2016. 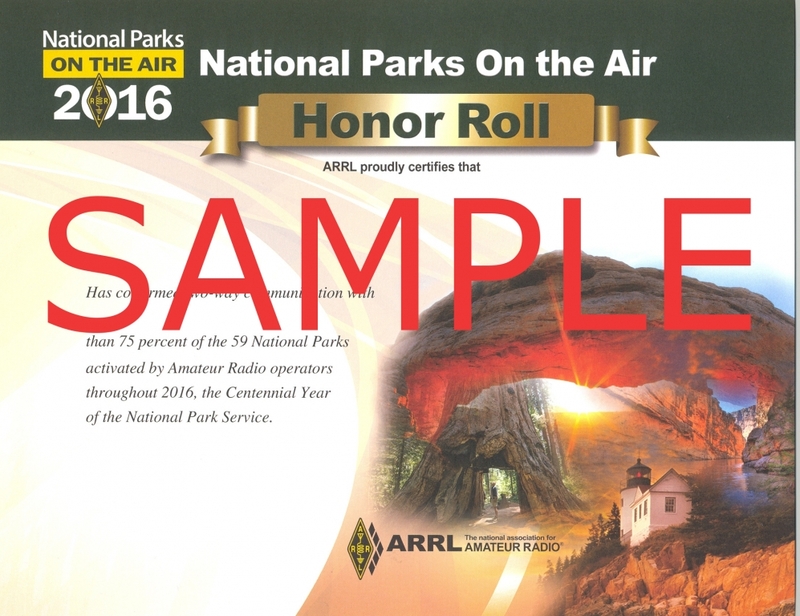 NPOTA Honor Roll is available for Chasers who confirmed at least 41 of the 59 bona fide National Park units (NP01-NP59) in 2016. Each certificate is $19, which includes all shipping charges worldwide.